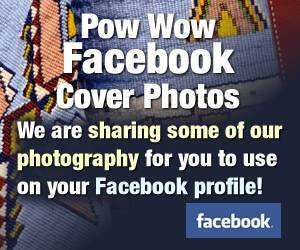 Forum Home - > PowWows.com Forum Archives > Archives > Pow Wow Singing Tbz World Champs.........finally!!!!!! JUST WANTED TO CONGRATULATE TBZ ON A LONG AWAITED VICTORY AT SCHEMITZUN. LOVE U GUYZ AND VERY PROUD OF U!!!!!! Last edited by TBZ4EVER; 09-04-2002 at 05:02 PM..
what's this about the boyz and midnite express? i'm so late on what's going on in powwow world. the main singers of the boyz are now in midnite express?? for how long has this been? I guess one day Opie decided to start his own group which is now known as Midnite Express. But, that wasn't the only thing he wanted to do. He wanted to take most of TBZ as he could. Some went with him and some didn't. However things are goin to end up then sooooo be it. Life goes on!!!!!!!! Was Schemitzun Really a World Championship??? Is it true that there were hardly any drums competing in the contemporary category? If that is true, then can Schemitzun really be considered a world championship calibre pow-wow? Nice Indian.... My vote would be No. But this has been the case from a Southern category when they only get what 5-7 drum groups. Not much competition from the TOP drum groups. TBZ is a very very good sounding drum group. There is no real "World Championship of Song & Dance". Some powwows claim it but there really isn't. It's all hype. The Boyz are the champs of Schemitzun. Maybe they are champs of the world but who's to say if they are or not. Derrick Matthews wouldn't agree. Mike Thomas thinks they have the honor of hosting the Championship. But, there really is not any one "championship finals". Whaddya think chosen guy & others? Uh oh! I can see it now... powwow playoffs. TBZ must still be jammin. even if they lost all them singers and still place a big pow-wow. I like to listen to TBZ so I say congrats. "peace"
i hear what you say, that's how things go sometimes. i'm still a BOYZ fan and always will be. keep singing from the heart and for the love. keep the LAKOTA spirit alive. Yes........the TBZ still jams. When some of their singers broke off, what we ended up with was yet another jamming group from Minnesota. Just goes to show you how deep dem Boyz is. It is so sad that a family can torn apart by something as simple as a wild pack of dogs. ...you won because ya deserve it. You are good singers and strong spirited. Hokie...never let anyone steal that spirit you have. You are a good person. I know that a lot of people feel the same way as I do. I wish you the best and see ya at Soboba!! Last edited by ndn_incognito; 09-11-2002 at 09:53 PM..
Congratulations Guys!!! It was well deserved! Location: Please Don't Interrupt Me While I'm Ignoring You! I will say you made some good points.....Midnite Express is indeed very impressive.....The Boyz are impressive too, but i'm not gonna compare them....Maybe what you'll say next is there is no comparison? The point i'm making here is 3 bros got together a short time ago and started something good.....I don't know what happenned along the way, but times change, although I don't think people do? How can anyone or anything be the best? Can you answer this for me? Where on the Schemitzun Poster this year were the words; "World Championship"? What qualifies a drum for World Championship status? If a pow-wow wanted to be considered as such then there would have to be rules. And right now there is no such thing as a World Championship. Someone mentioned a playoff type system.....kinda as a joke but that is how a "true" Champion would be determined. Saying that congrats to TBZ for winning at Schemitzun 2002! I think that TBZ sounded tight in Conn. I don't think they lost a whole lot when some of their guys quit. Sure they lost some of the original singers, but their spots were filled. I just like to say that I think that The Boyz are one of the most respectful groups out there. They never gloat when they win, and they never blame it on anything when they don't. Grass Dancing @ its BEST! Everyone knows that the most of the comtemporary drum groups didn't show up to Schemitzun, but to beat blacklodge who clearly had a full crew and well, if it wasn't for car problems, Bear Creek still would have taken 3rd, cause thats the way it was. I really don't think its neccesary to be cutting down these drum groups for the simple fact that every year TBZ placed second at Schemitzun, WHY? cause some one was always missing when it came down to crunch time, which is hanging around the powwow grounds. this time it was cause they did everything right, the entire drum of Black lodge missed drum roll call, BUT if it wasn't for that all the drums wouldn't have received all the roll call points. but anyway, TBZ really did win cause they sounded good. and also why is everyone comparing TBZ and Midnite, their still bros. lets try and not cause a bros to hate on each other, who cares if they split up, they both still rock the house. OHH and another thing, all the drums at conn. this year sounded real good, its worth listening to over and over. I know I got evidence. Aye'ya'hey, aye'ya'hey!! Finally after all these years da BOYZ won! They're #1 in my book and always will be. They can blast and alwayz have new killah songz! Proud of you guyz! And alwayz will be a boyz fan; regardless of who's singing with'em. Sing from the heart boyz and keep that blasting spirit alive! Ta-saw, ta-saw! Yee'h, yee'h... :D Can't wait to see you all in person to give you that long awaited CONGRATZ!! RIGHT ON DA BOYZ :p ! Me be Hatin--sorry to break it to you but...you are alone on this one! (Your name suits you) You are hatin all by your little ol' self. Good luck on getting your self esteem up! Anywayz...the last 5 posts had a lot of meaning and truth to them. Congrats!! to all ya Boyz and the women too!